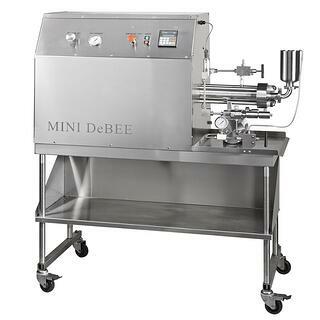 BEE stands for Best Emulsifying Equipment which exemplifies the passion for innovation which motivates the company. BEST is product driven. For each product the BEST mixing process accomplishes objectives, with the most cost effective method. Objectives vary for each product and project. Our technology achieves superior results for nano emulsions, cell lysis, uniform particle reduction and related applications. In the lab, BEE technology allows the product developer to quickly apply a wide variety of mixing techniques to a formulation. A systematic tool to determine the cause-and-effect relationship between factors affecting a process and the results of that process. With this information new products are developed faster. Guaranteed scale-up to production with the right process can mean a new or improved product manufactured with the most profit. BEE’s High pressure homogenization technology is a fluid mechanical process. Product is pulled into our proprietary High Pressure Intensifier System from the product inlet, and pumped out as a constant high-velocity jet strong enough to cut metal. This powerful jet enters BEE's patented Emulsifying Cell, (EC) where it is applied to the product in the product. Unlike other mixers, which apply one type of force to product, the EC incorporates shear, cavitation and impact to break down, mix and blend. The result is a thoroughly mixed product of the BEST results for even the most challenging applications.